You have tried it all; will power, patches, gum, cold turkey, but nothing seems to work. So you thought you might explore hypnosis. You may even know someone who has quit using hypnosis. You may be apprehensive about the process involved since it is something you have not done before. No need to be. Hypnotherapy is a tried and tested technique for smoking cessation, it has a very high success rate making it one of the most effective ways to quit smoking. It is designed to take account of all the triggers, habits and complex associations that you have with cigarettes. Tobacco smoke – Contains over 4,000 chemical compounds, present as either gases or as tiny particles. These include carbon monoxide, arsenic, formaldehyde, cyanide, benzene, toluene and acrolein. Smoking is the primary cause of preventable illness and death. Every year smoking causes around 100,000 deaths in the UK. Smokers under the age of 40 have a five times greater risk of a heart attack than non-smokers Smoking causes around 80% of deaths from lung cancer, around 80% of deaths from bronchitis and emphysema, and about 17% of deaths from heart disease. More than one quarter of all cancer deaths can be attributed to smoking. These include cancer of the lung, mouth, lip, throat, bladder, kidney, pancreas, stomach, liver and cervix. Within 20 minutes of quitting smoking your heart rate drops to normal. After 12 hours, the carbon monoxide level in your blood drops to normal. After 2 weeks to 3 months, your heart attack risk begins to drop and your lung function begins to improve. Within 1 to 9 months, your coughing and shortness of breath decrease. One year after quitting, your risk of coronary heart disease is half that of a smoker’s. Within 5 to 15 years after quitting, your stroke risk is reduced to that of a non-smoker’s. Ten years after quitting, your lung cancer death rate is about half that of a smoker’s. Fifteen years after quitting, your risk of coronary heart disease is back to that of a nonsmoker’s. Let’s make one thing very clear to begin with: No one can make you stop smoking, and no method can make you stop smoking. It’s all up to you! Each person is unique so a smoking cessation session includes a very detailed discussion about your relationship with cigarettes, exactly why you want to stop smoking and the many ways in which you will benefit from becoming a non-smoker. 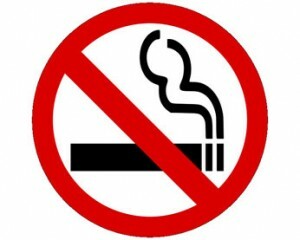 So how does hypnosis help stop smoking? The hypnotic state, which is generally found to be relaxing and enjoyable, allows suggestions to be planted directly in to your unconscious mind which is where your smoking habit is held. By targeting the smoking habit directly we can quickly break the pattern, remove nicotine cravings and bring about immediate smoking cessation. You will receive a free CD to help increase your strength and resources and also to help you manage stress. So, why do people continue to smoke? And better yet, why is it so hard for so many people to quit cigarettes and to quit smoking? Hypnosis works with the sub-conscious mind. Hypnosis techniques can make it so easier for you so that you’ll leave a happy non-smoker; not feeling deprived, not feeling that you’ve made a sacrifice, and not feeling any pain. Instead, you’ll have a huge sense of relief and elation that you have at last achieved what all smokers long to achieve, you have become a happy, successful, non-smoker. When smokers try to stop with other methods they suffer misery and depression caused by the feeling that they are being deprived of a pleasure or a crutch. The beauty of hypnosis is that it removes the feeling of deprivation. It removes the need, and the desire to smoke. You won’t need useless aids, gimmicks, or substitutes. No nicotine gum or patches. No inhalers or nasal sprays. No needles or lasers. All that you have to do with hypnosis is sit back in a nice comfortable chair and relax. It doesn’t get much easier that that! Of course, there are varying degrees of success with hypnosis because much depends upon the desire of the client to stop. However, thousands of people have found hypnosis to be an effective way to stop smoking, lose weight, and otherwise improve their lives. To make an appointment for Smoking Cessation please give us a call.